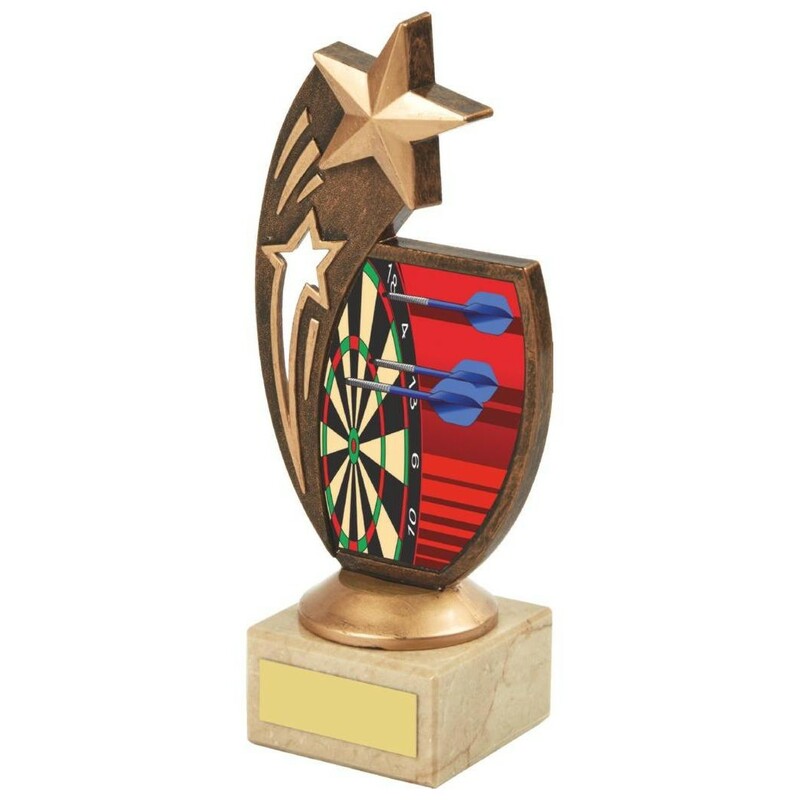 This is the largest choice of darts trophies available. 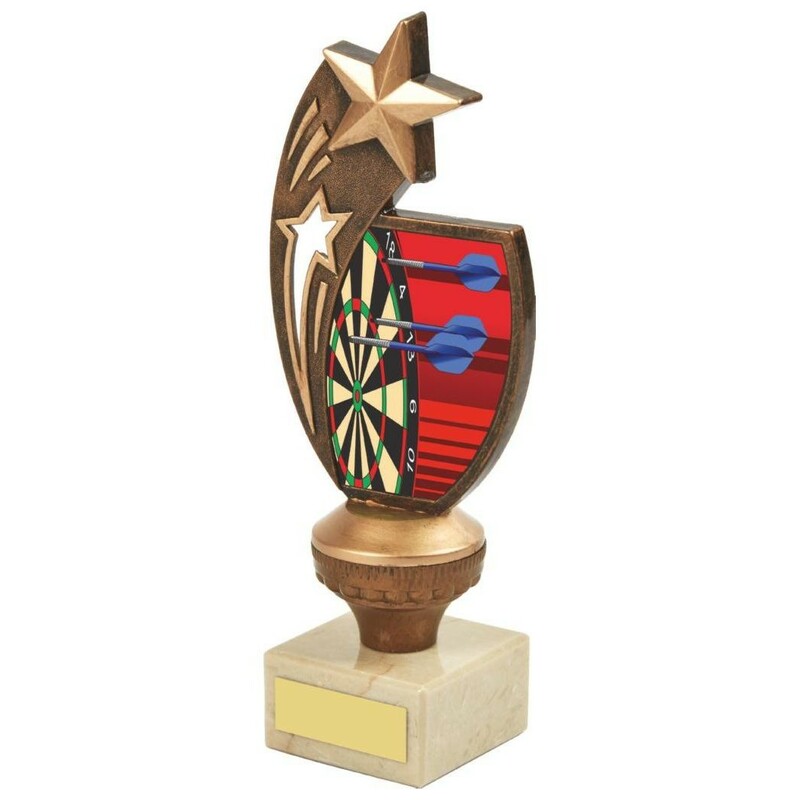 We supply darts trophies for all darters including Most Wins, Highest checkout and most 180’s. 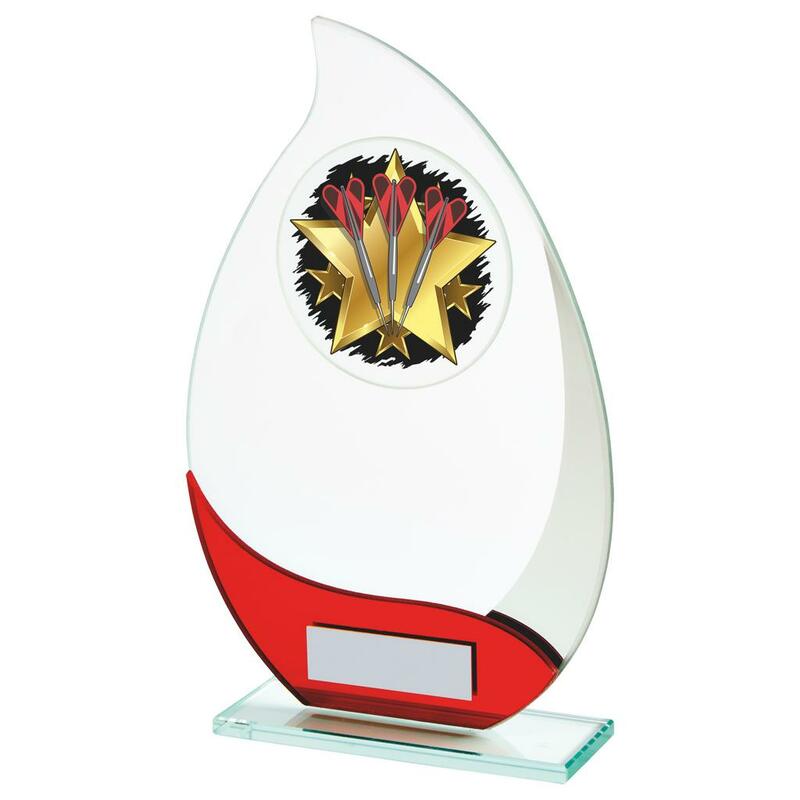 Lost of quality fine detailed resin trophies ideal for Individual Winners and Runners Up. 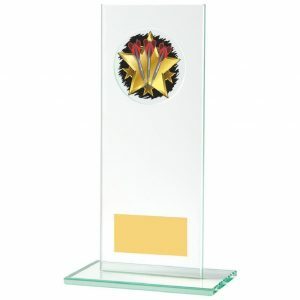 Quality glass trophies perfect of Team Winners and Runners Up. 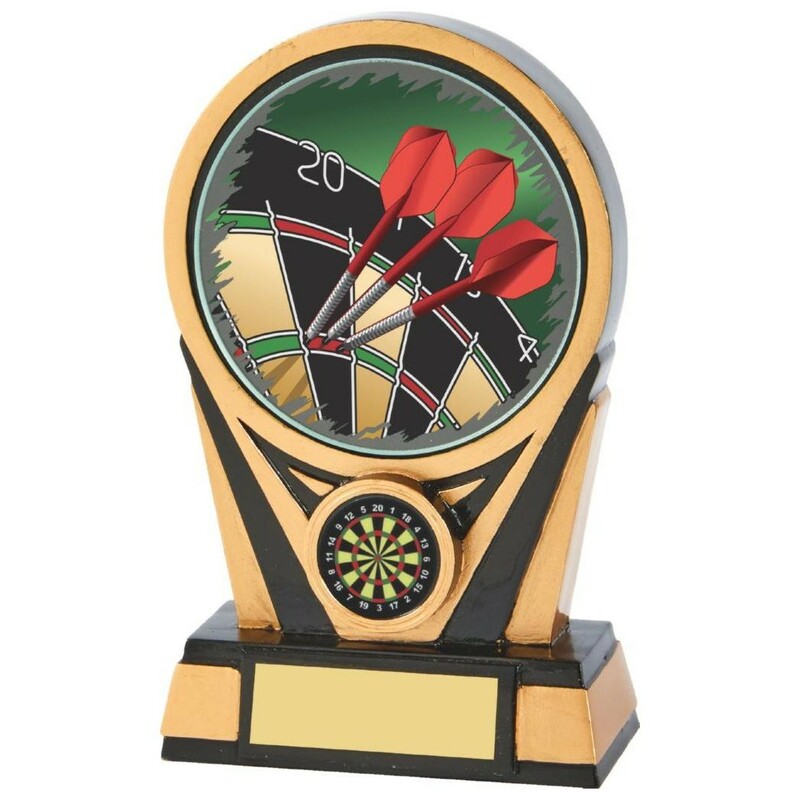 There are lots of choice for the darts league organiser to choose from. 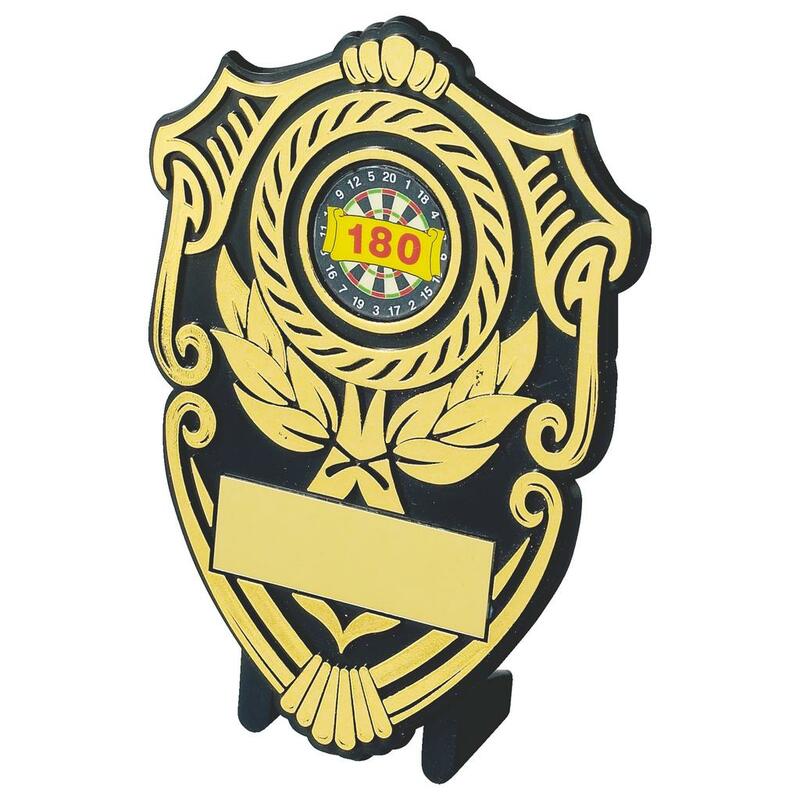 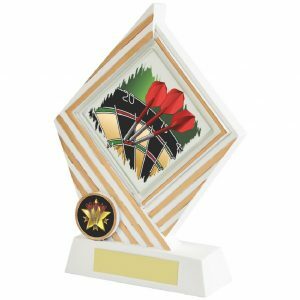 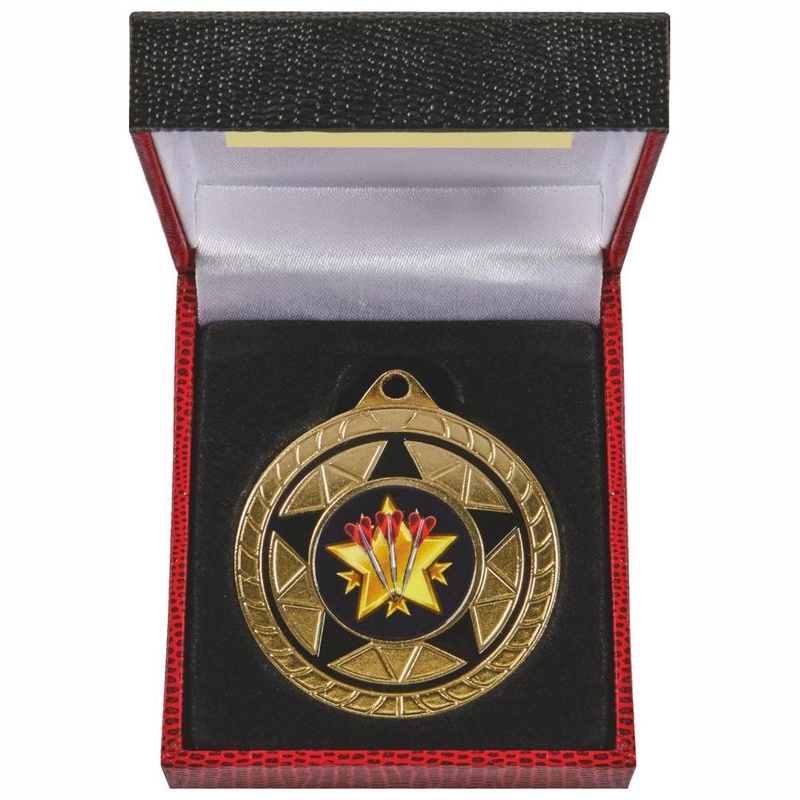 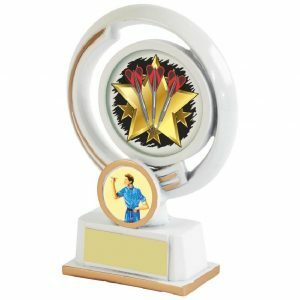 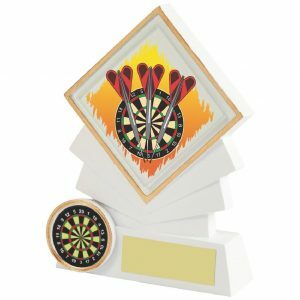 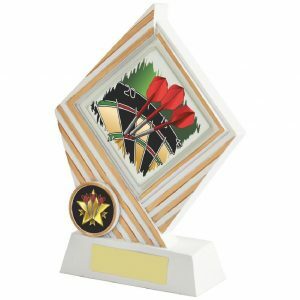 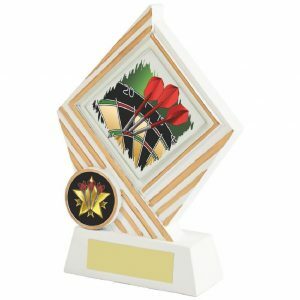 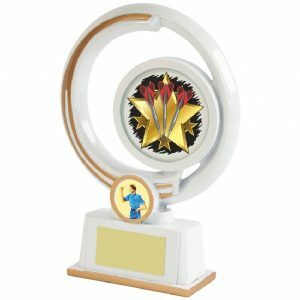 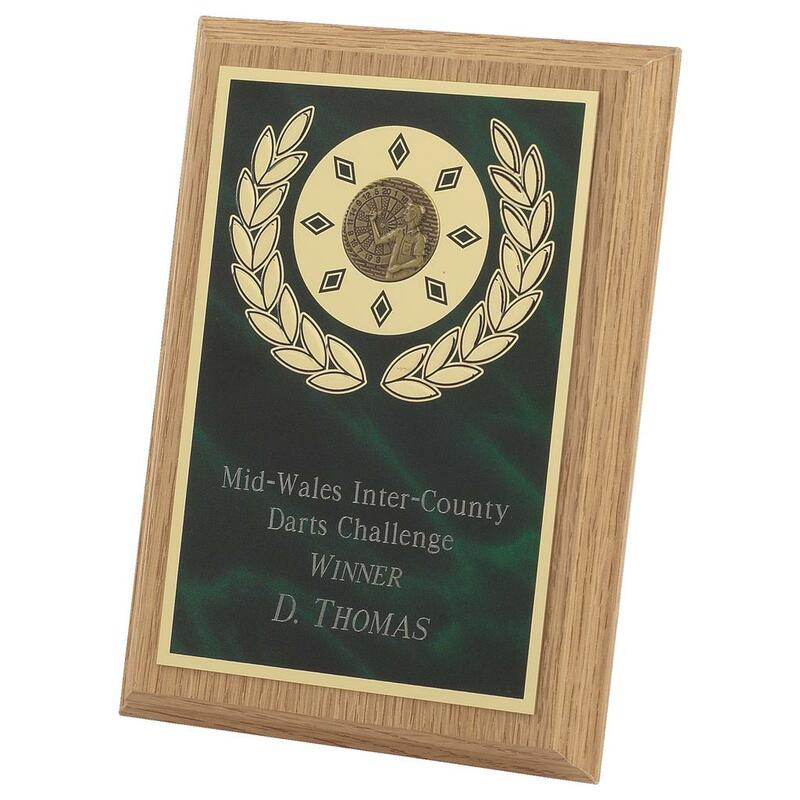 There are lots of different styles available in the Darts Trophies section on our site which offer a great variety of Darts trophies, cups, plaques and darts shields to celebrate achievement in this popular sport. 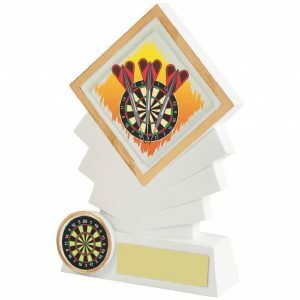 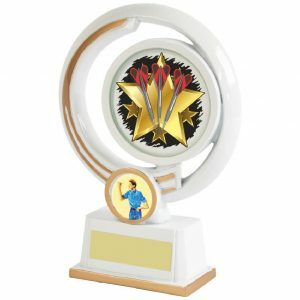 The Darts trophies from Online Trophies can be used to recognise any accolade or achievement in Darts. 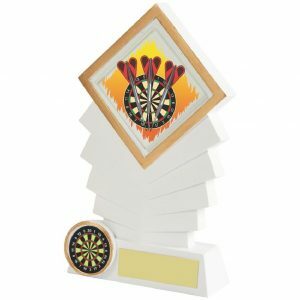 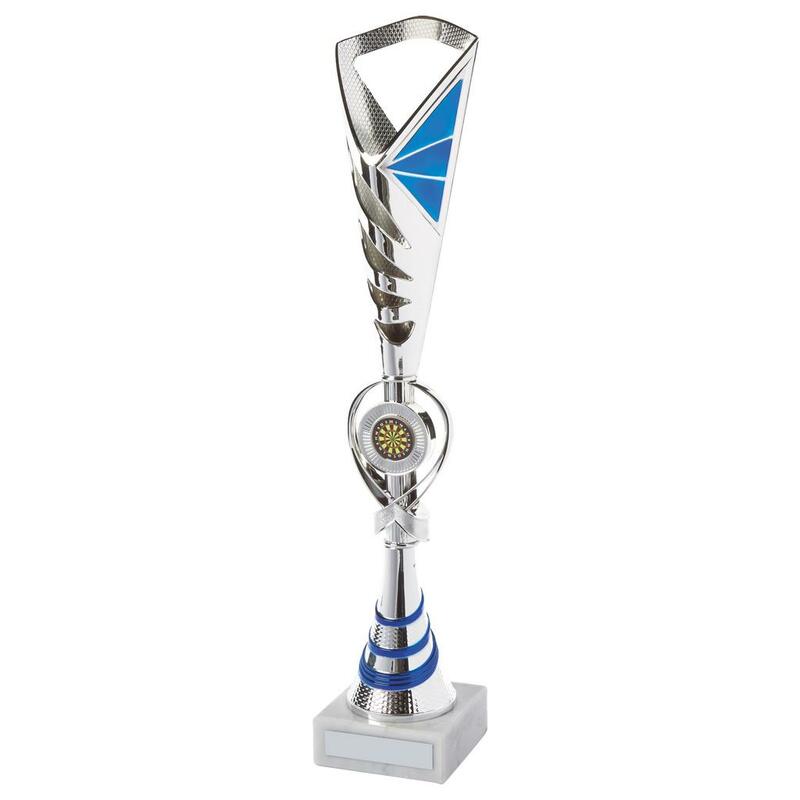 Our fantastic range of quality darts trophies come in all shapes, sizes and designs and are perfect for your Darts competition, tournament or event.